Classical music: Musicology professor Susan C. Cook is the new director of the UW-Madison School of Music. The semester is over and commencement at the University of Wisconsin-Madison has already been held. But in case you haven’t already heard, Musicology professor Susan C. Cook (below, in a photo by Michael Forster Rothbart) is the new director of the UW-Madison School of Music. 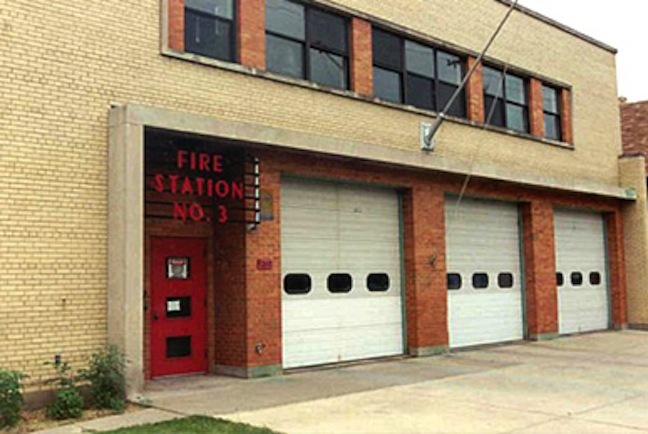 Last I heard, some university committee or administrator had to give the final approval, but that that was a formality and no trouble or problem was expected. As you can see from the biography taken from the UW-Madison School of Music website, Cook is very accomplished and original in her eclectic interests and scholarship, and she has some serious high-level administrative experience. “Susan C. Cook is professor of music and also serves as the academic associate dean for the Arts and Humanities in the Graduate School. “Her teaching and research focus on contemporary and American music of all kinds and demonstrate her abiding interest in feminist methodologies and cultural criticism. “Current works-in-progress include an exploration of gender, commemoration and the post-Great War work of Maurice Ravel, American opera singer Alma Gluck, musical imagery in the novels of Carson McCullers, and female blackface minstrelsy. 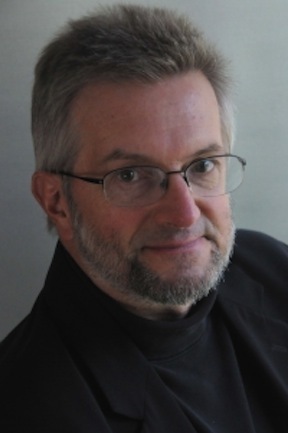 Susan Cook takes over July 1 from John Stevens (below), the Yale University-trained composer, and tuba and euphonium professor, who is stepping down early to return to return to teaching for one final year before retiring. 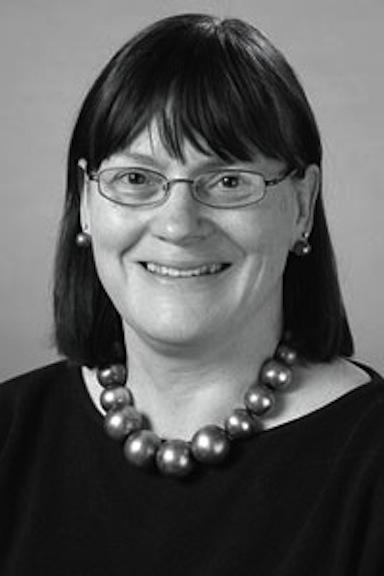 The Ear wishes good luck to Susan Cook, who heads up an outstanding program, with gifted faculty and talented students, but also faces some daunting financial and staffing challenges in the coming years if the UW School of Music is to maintain its excellent reputation. 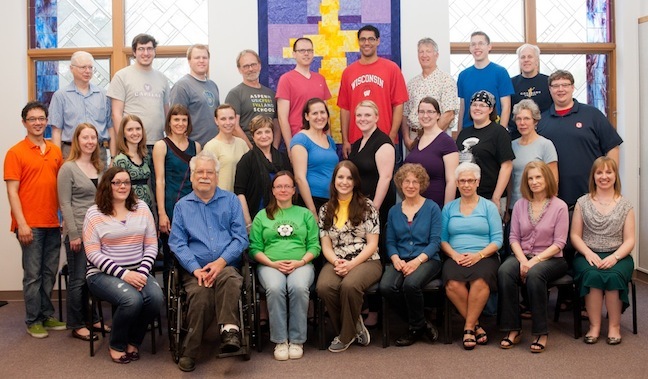 Classical music: The Madison Chamber Choir will perform an eclectic concert of works by J.S. Bach, Amy Beach and the Beach Boys on Friday, May 31. I’m writing on behalf of the Madison Chamber Choir (below, in a photo by Jim Pippett) to let you know of our upcoming spring concert in the hope that you might spread the word to Madison-area music lovers through your fabulous blog. 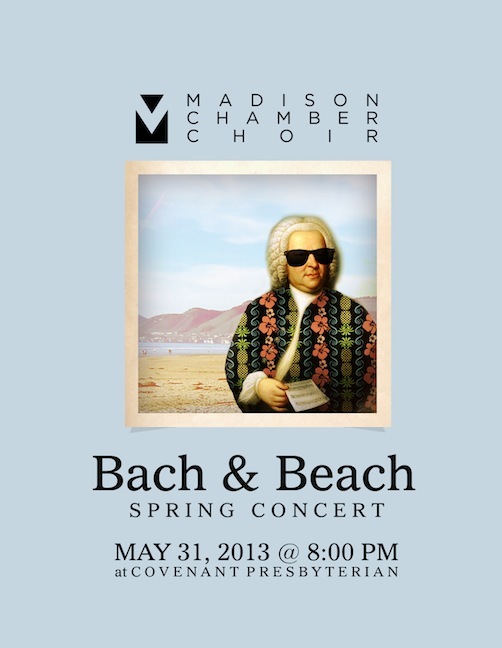 We’re calling the concert “Bach & Beach.” It will be held on Friday, May 31, at 8 p.m. at Covenant Presbyterian Church, 3236 South Segoe Road. 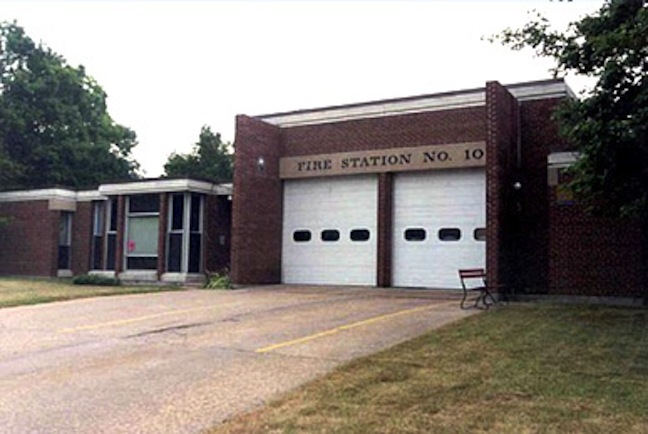 Admission is a suggested donation of $10. 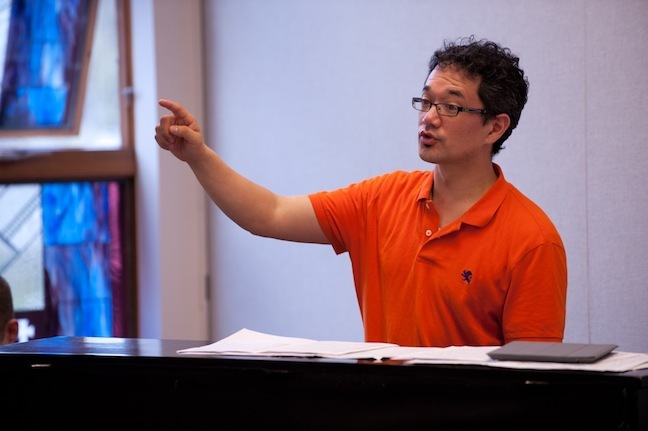 Directed by Anthony Cao (below top, in a photo by Jim Pippitt) , the concert will be an eclectic offering that will include music of J.S. 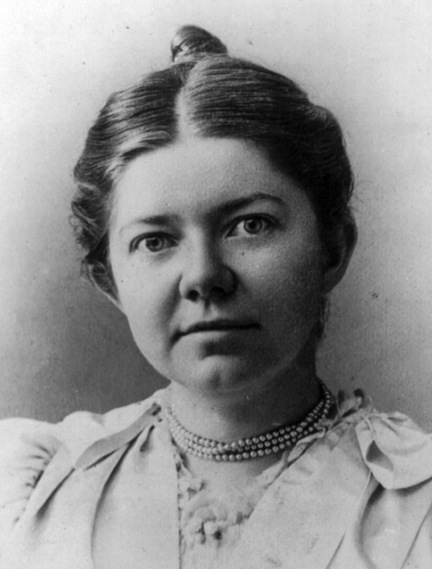 Bach (“Jesu, Meine Freude” and “Sleepers Wake”), as well as some work of Amy Beach (below and at the bottom in a YouTube video are three songs) and, yes, The Beach Boys. I’m attaching an e-version of a publicity postcard that includes some relevant details. Adds The Ear: I didn’t get specific titles of works by Beach and The Beach Boys. But if the concert is half has half the fun and color of the poster (below), it should be a memorable event. 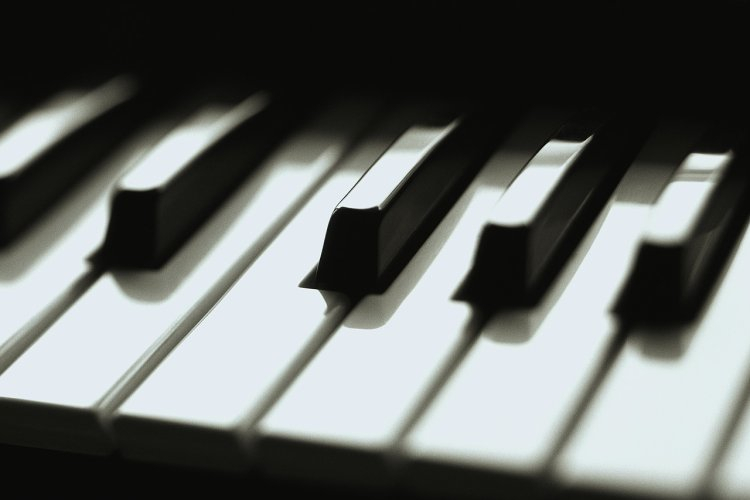 Classical music: After the recent death of its namesake, the 14th Van Cliburn International Piano Competition is being held May 24-June 9 in Fort Worth, Texas. Here are links to many kinds of information, including live webcasts of performances, lists of competitors and repertoire, and blogs of the competition rounds. 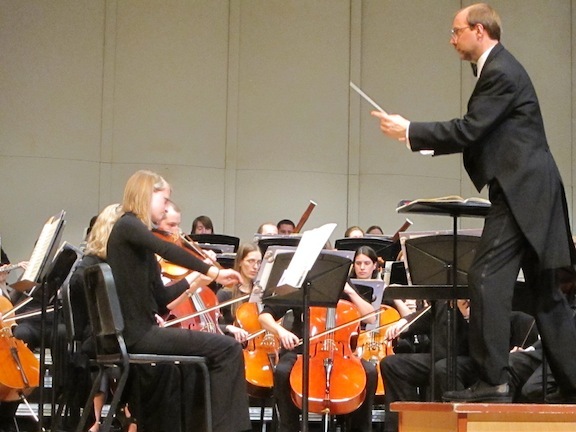 Plus, the Middleton Community Orchestra closes out its season Wednesday night. 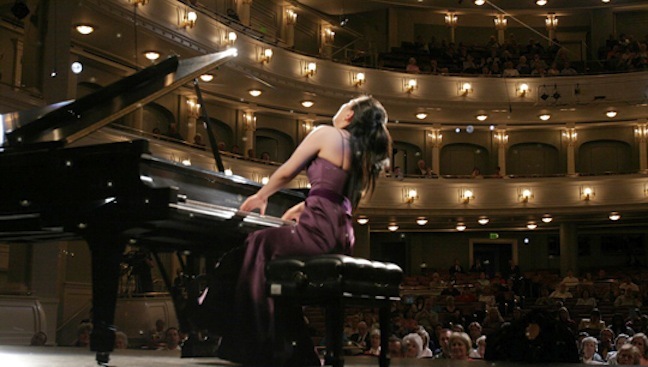 The 14th Van Cliburn International Piano Competition, which takes place every four years, is underway. The playing started last Friday, May 24, and will run through Sunday, June 9. The competition seems to be facing some challenges, including possible conflicts of interest between teacher-judges and contestants. 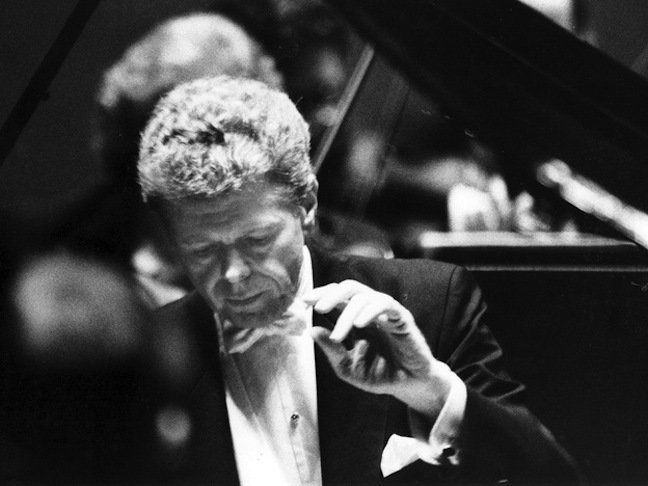 But perhaps the biggest challenge is maintaining its high public profile after the death in February at age 78 from bone cancer of its world-famous namesake, the virtuoso pianist Van Cliburn (below, performing in 1993.). If you want to see the repertoire list of what all 30 competitors will perform, you have to take a roundabout way. Go to the Competitors page at the foundation’s home website and click on their name. 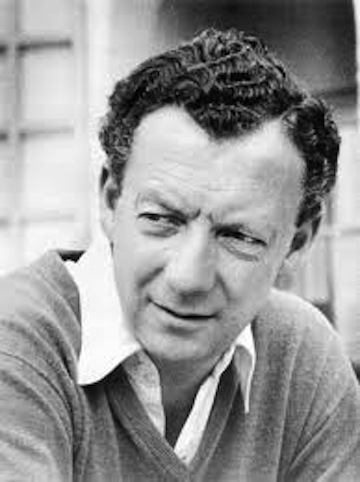 Then you have a choice of links to Biography and or to Competition Repertoire for each phase. I find the repertoire list valuable and fascinating for its psychology of building up to a win. A lot of the choices make sense, but some seem pretty far out and risky. http://www.cliburn.org/cliburn-competition/live-webcast/ (Below is a YouTube video of Claire Huangci performing Kapustin’s Concert Etude, Op. 40, No.1, during the Preliminary Round). Both newspapers feature daily blogs of various rounds and contestants with some pretty informed judgments. 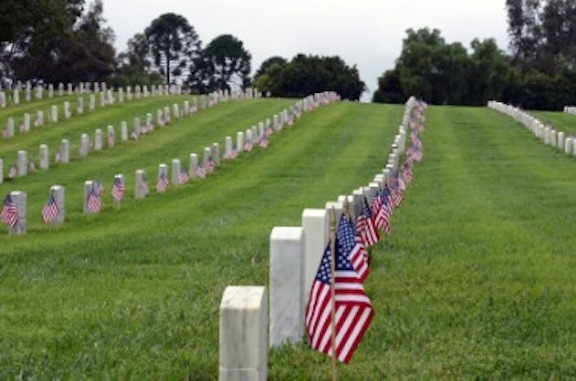 Classical music: For you, what classical music best celebrates Memorial Day? 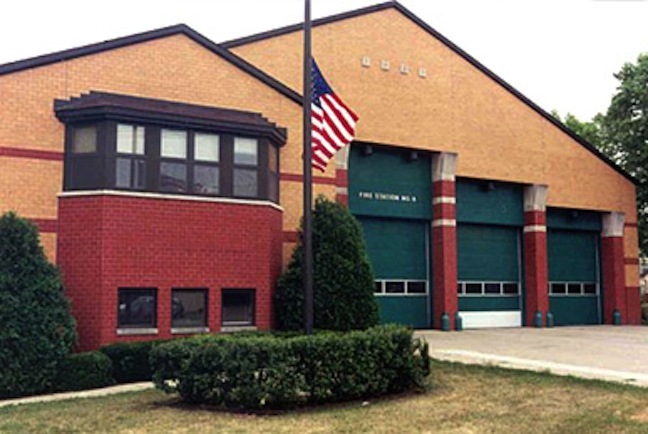 Today, Monday, May 27, is Memorial Day – or Decoration Day, as it used to be known when solders’ graves were marked with more flowers and flags, and fewer words and less rhetoric. Music is such a profound part of our memories, of how we celebrate events and people. So once again, The Ear asks: For you, what classical music best celebrates Memorial Day? 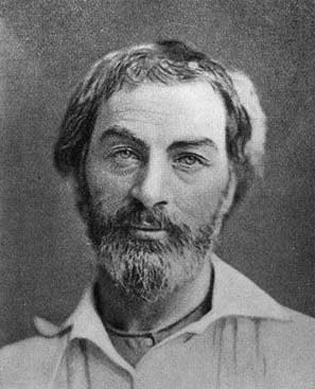 And here is yet another NPR story that features some wonderful links to appropriate music – including Benjamin Britten’s “War Requiem” and John Adams’ “The Wound Dresser,” based on the poetry of Walt Whitman (below), who was a hospital nurse during the American Civil War. 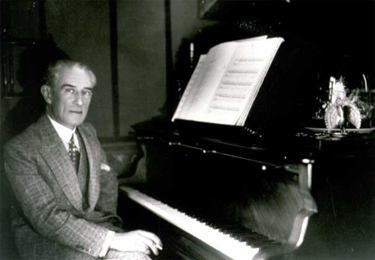 It also mentions and uses an audio clip of one of my favorites, “Le Tombeau de Couperin” by Maurice Ravel (below), which dedicates each movement to a different friend who had been killed in World War I, even while the music remains quietly wistful of earlier times and does not wear its heart if its sleeve. 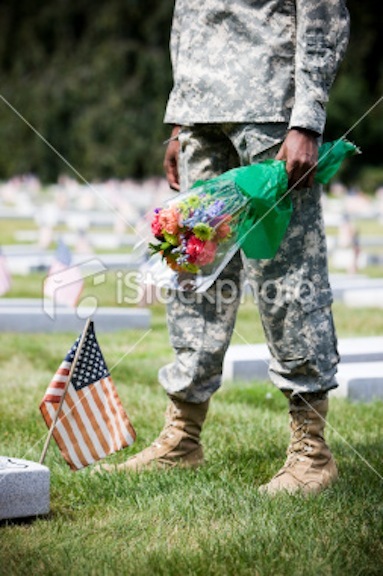 So once again I ask: For you personally, what music best embodies and expresses Memorial Day? Leave those suggestions and links in the COMMENTS section. 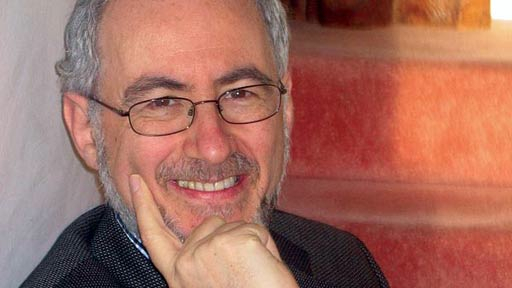 Classical music: A century later, is “The Rite of Spring” still new and edgy? 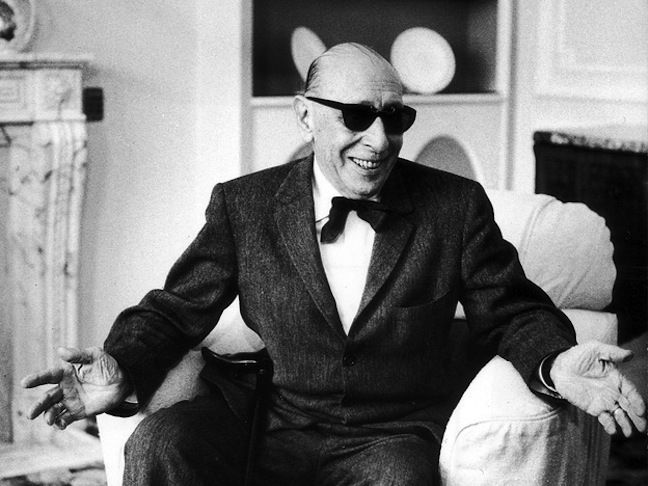 Was Igor Stravinsky the Pablo Picasso of modern music? 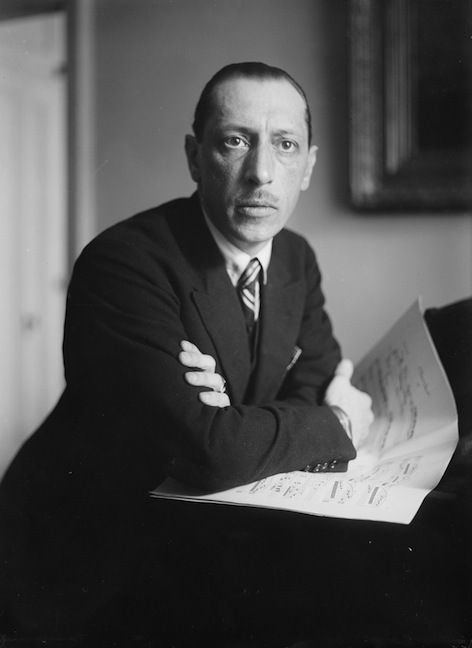 It’s a good question to consider as “The Rite” turns 100 this Wednesday, May 29, and NPR devotes several worthy stories to Stravinsky and his music. 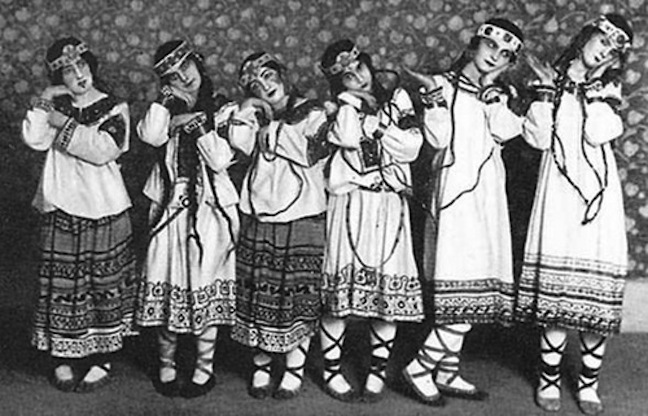 This coming Wednesday, May 29, marks the 100th anniversary of the premiere of “The Rite of Spring” by the 20th century master Igor Stravinsky (below at about the time of “The Rite.”). A century later, the ballet score remains a shockingly visceral, raw, convulsive and heart-pounding work that has lost none of its impact. It is, like late Beethoven string quartets — I believe it was Stravinsky himself who made the observation about Beethoven’s “Grosse Fuge” — forever modern. 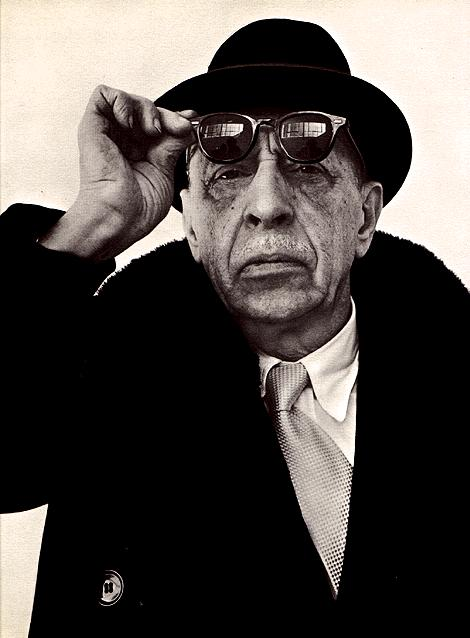 Miles Hoffman recently discussed “The Rite” on NPR within the very varied and very long career of Stravinsky, and how Stravinsky (below, in a photo by Richard Avedon) was musical chameleon who constantly pushed his art and evolved his sense of style in different directions. 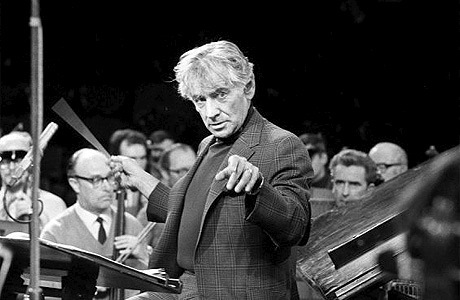 Hoffman, himself a performing musician (a violist) and a fine writer, compared Stravinsky to Pablo Picasso for the range and diversity of his experimentation and the masterful results. Here is a piece to another NPR piece, “A Cocktail Party Guide to Stravinsky,” complete with audio and video samples, from Tom Huizenga. Meanwhile here in a YouTube video is the part of “The Rite of Spring” that always seems my ears like the soundtrack to an Aztec heart sacrifice — well, it is about pagan Russia — with its incredible use of slashing strings, pounding percussion, spooky winds and brass, and propulsive off-beats. What careful mastery, craft and precision went into something so physical, so visceral, so emotive! There is a lesson there for advocates of passionate art who mistake sincere confession for careful craft! 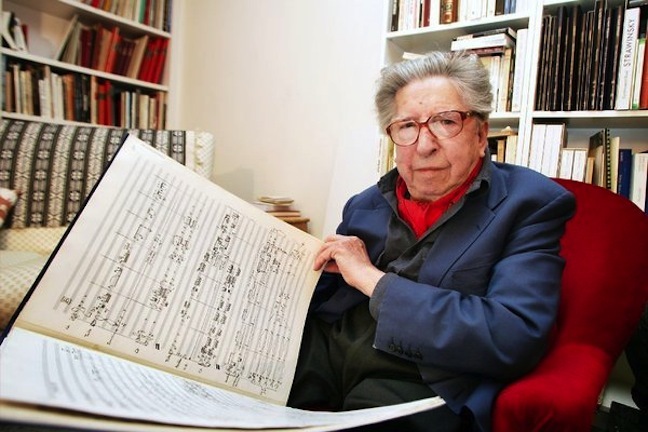 Classical music: French composer Henri Dutilleux is dead at 97. He was an accessible modernist who embodied many traditional values of French culture. And here are some of the best remembrances and obituaries. The French composer Henri Dutilleux (seen below in 2005 in a photo by Jean Pierre Muller for Getty Images) died Wednesday in Paris. He was 97. Henri Dutilleux was clearly a modernist, but not a militant or revolutionary modernist, who was known for his use of color and harmony. Like much of traditional French culture in general, he had a deep appreciation for formal beauty -– for melody, for structure, for clarity. 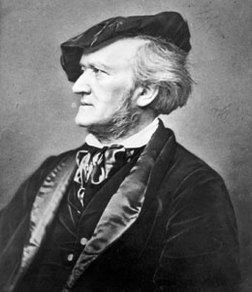 But even though he found critical acclaim, he never found widespread favor or popularity with the general public in the U.S. and around the world. The Ear very much likes Dutilleux’s work – his symphonies, his chamber music and his solo piano music (such as the Piano Sonata performed in a YouTube video at the bottom by his wife Genevieve Joy, who died at 90 in 2009). In fact I much prefer it to the much more famous and more frequently performed music by the 20th century French composer Olivier Messiaen, who was too Catholic, too mystical and religious, too self-consciously spiritual and aggressively dissonant and percussive for my taste. 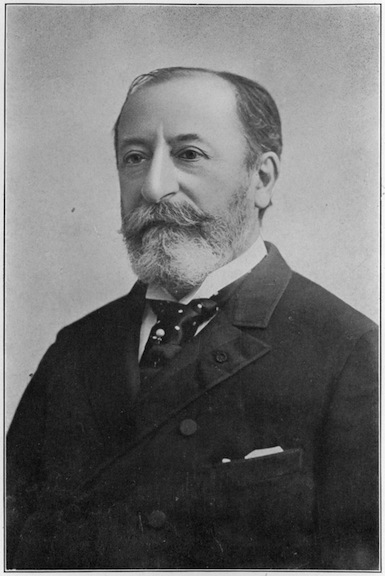 Even as I am writing this, Wisconsin Public Radio is airing Dutilleux’s early Symphony No. 1. It strikes me that Dutilleux (below, seen earlier in his career in 1959, in a photo by Ed Fitzgerald), who chided himself for not being prolific, worked in the great tradition of French refinement and craft, composing in the shadow of Maurice Ravel (who studied with Gabriel Faure, a family friend of Dutilleux’s father), that famous “watchmaker” musician. So here are some of the best remembrances and obituaries to appear so far, though curiously I have not found a great piece from the French press (if you find one, please leave a link or reference). 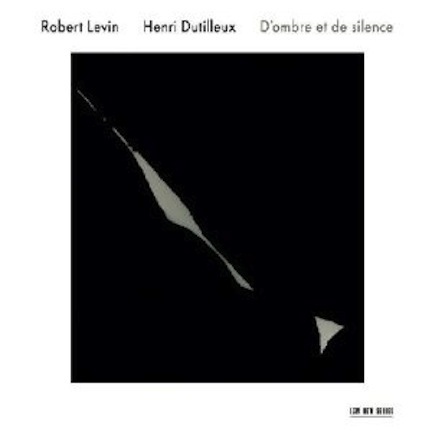 If you don’t know Henri Dutilleux’s music, I particularly recommend an all-Dutilleux record of solo piano music (the cover is below) by the Harvard University professor, pianist and musicologist Robert Levin, who often appears at the Token Creek Chamber Music Festival, on the ECM Records label. 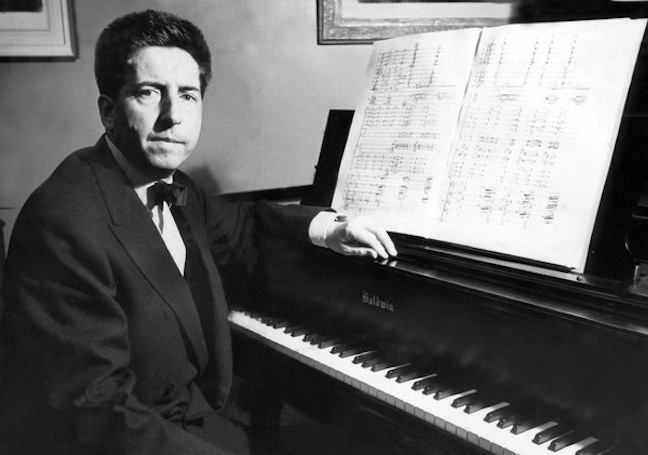 What are your favorite works by Henri Dutilleux, and what remembrances of anecdotes do you have to tell and leave in the COMMENTS section? 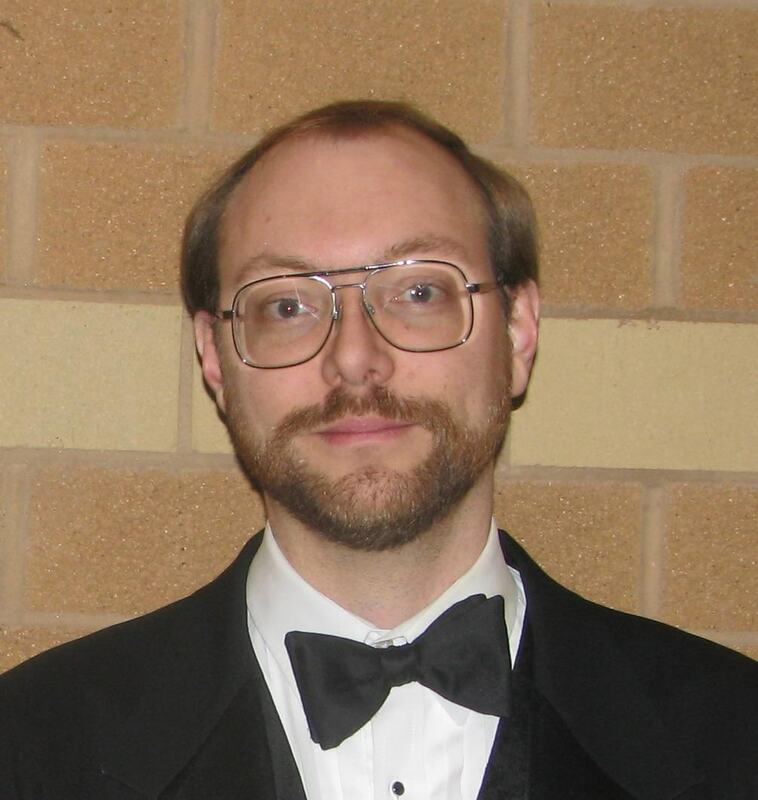 Classical music: The Middleton Community Orchestra wraps up its third season this Wednesday night with Tchaikovsky’s Symphony No. 6 (“Pathetique), Schumann’s “Julius Caesar” Overture and Saint-Saens’ Cello Concerto No. 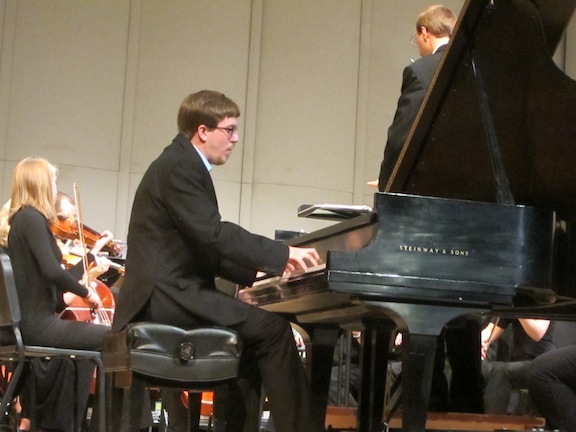 1 with UW-Madison student soloist Mark Bridges. Yet another group is wrapping up its regular season — and it won;pt interfere with the Memorial Day weekend.. 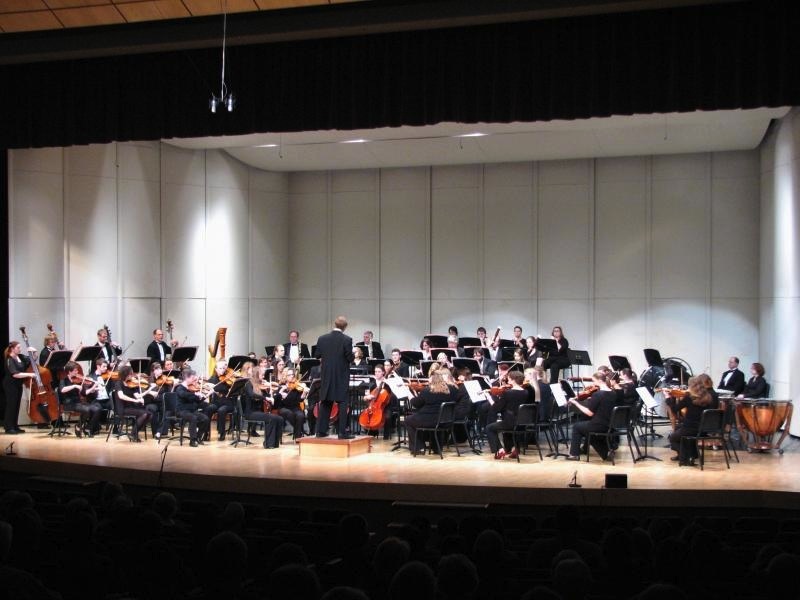 The time the Middleton Community Orchestra (below) wraps up its third season this coming Wednesday night, May 29, with Tchaikovsky’s “Pathetique” Symphony, Schumann’s :”Julius Caesar” Overture and Saint-Saens’ Cello Concerto No. 1 in A minor. 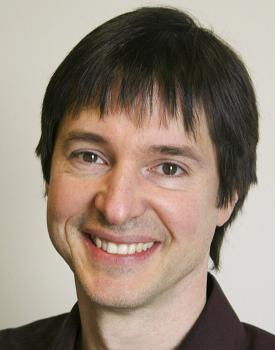 The cello soloist is Mark Bridges (below), who is a graduate student at the UW School of Music and studies with Uri Vardi at the UW-Madison School of Music. 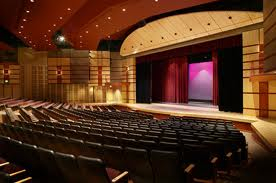 The performance of the MCO’s Spring Concert is at 7:30 pm at the Middleton Performing Arts Center (below too in the interior), attached to Middleton High School. Tickets are $10 general admission. Students are free. 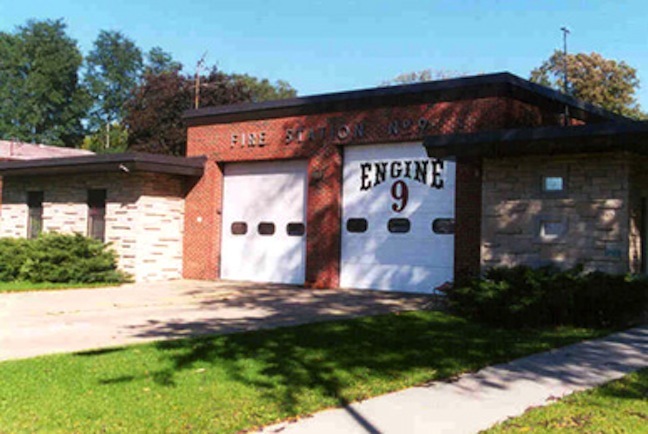 Tickets are available at the door, Willy St. Coop West or by calling 608-212-8690. 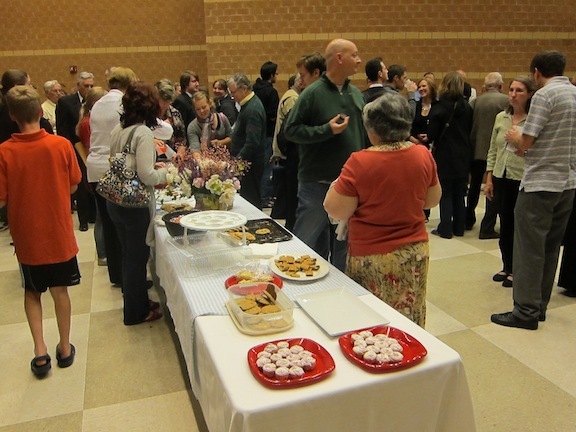 I have written before about the many things to like about this mixed group of professional and community musicians and its concerts with the friendly and informative social reception with both the musicians and the audience members (below) attached to it and the shorter programs that forego intermissions. 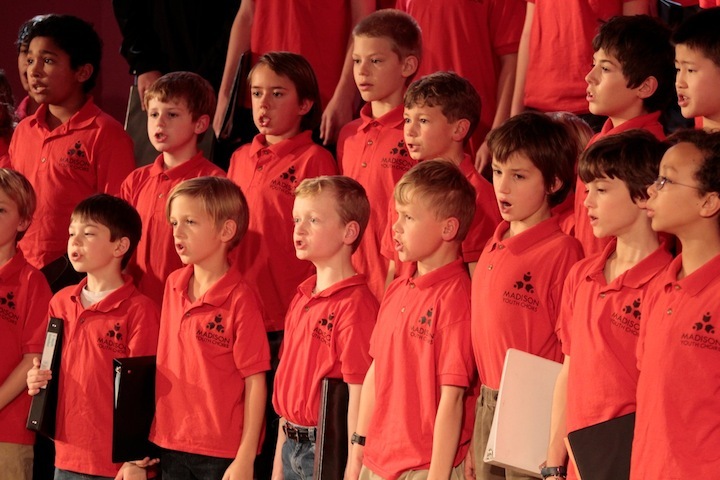 MCO concerts are great and affordable family events. 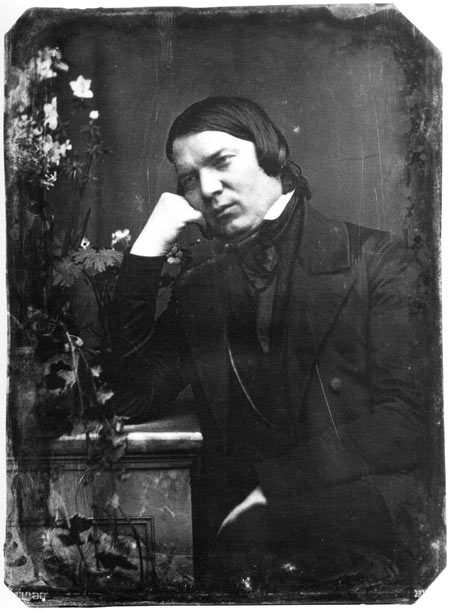 This overture by Schumann (below) is based on Shakespeare, but it is not incidental music. It is a concert overture from late in his life. 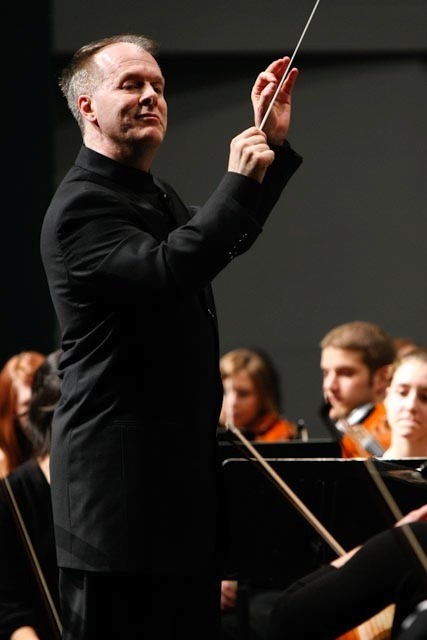 It has a pathos similar to the Tchaikovsky, so it will help to start the emotional motion of the whole concert. 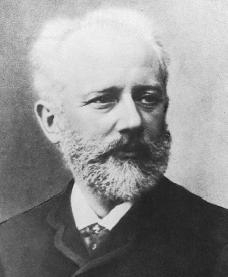 “The “Pathetique” Symphony by Tchaikovsky (below) is a musical journey though a wide spectrum of human emotions, but seems to dwell more in the areas of darkness. “The first movement alone moves through subdued anguish, hectic gloom, expansive love, heated fury, and optimistic consolation. The limping waltz in the second movement displays grace and refinement, with a center section full of plaintive tenderness. The exhilarating third movement is the picture of triumph and celebration. “Tchaikovsky’s Symphony No. 6 (“Pathetique”) is so beautiful, and hearing it performed in a couple of weeks by MCO will be a real treat. 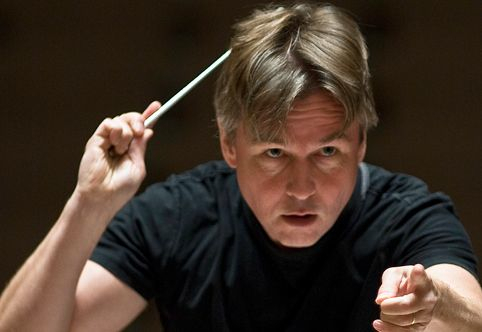 The orchestra which is only 3 years old, plays the symphony very tastefully and with a lot of passion. The Ear has also been told that concerts for the MCO’s fourth season will be announced shortly. So stay tuned. 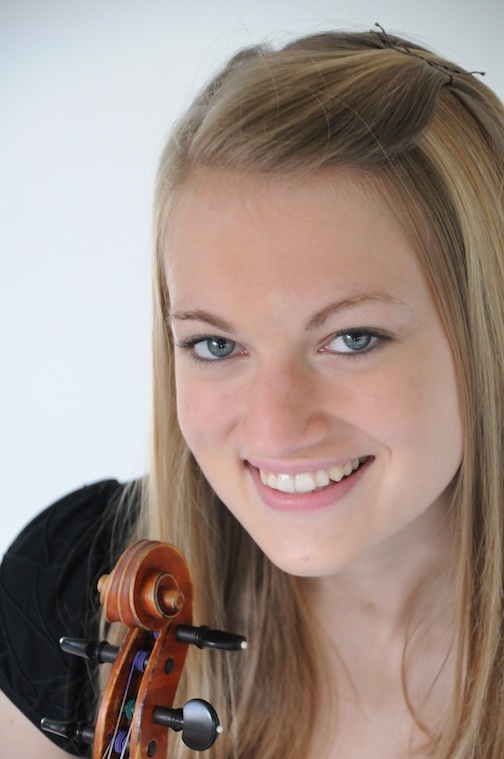 Classical music: The Madison Symphony Orchestra announces the new 2013-14 season of the Overture Concert Organ series, featuring sister violinists Alice and Eleanor Bartsch of Madison as well as local and imported talent in appealing and varied programs. The news about new seasons continues to come in. 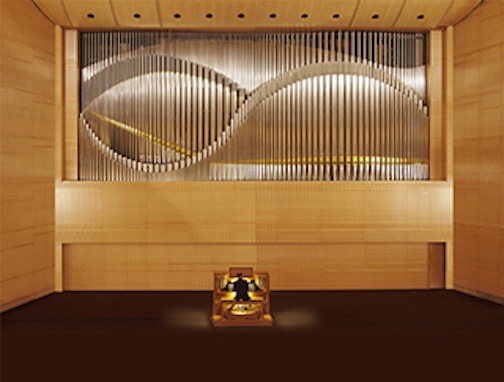 The Madison Symphony Orchestra (MSO) has just announced the 2013-14 season of concerts with the Overture Concert Organ (below) that will feature the internationally renowned organist Janette Fishell, MSO Principal Organist Samuel Hutchison, MSO sister violinists Alice Bartsch and Eleanor Bartsch, and the Madison Youth Choirs. Now the acclaimed Twin Sister duo of pianists Michelle and Christina Naughton can be joined by their violinist counterparts from Madison. Program highlights include Julius Reubke’s Sonata on the 94th Psalm and double violin concertos by J. S. Bach and Antonio Vivaldi. Subscriptions are available for $63 to the four-concert series, which has quietly become one of the best-attended organ seasons around. The subscription deadline is June 28. Subscribers save 25 percent off the cost of single tickets and get the best seats before they go on sale to the general public on August 17. 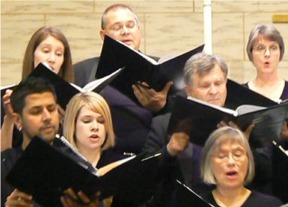 Subscriptions, full details and concert programs are now available at www.madisonsymphony.org/organseason. 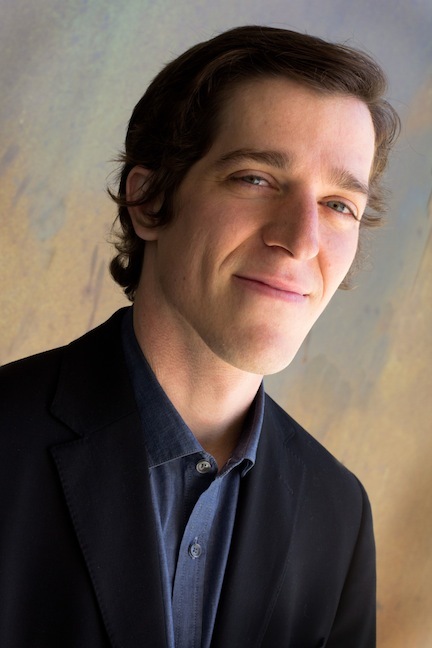 Samuel Hutchison (below) opens the season on Friday, October 11 at 7:30 p.m. in the Overture Center‘s Overture Hall with a program of works by J. S. Bach, Gabriel Pierné, Marco Enrico Bossi and a special transcription of the waltz from Peter Tchaikovsky’s Eugene Onegin. 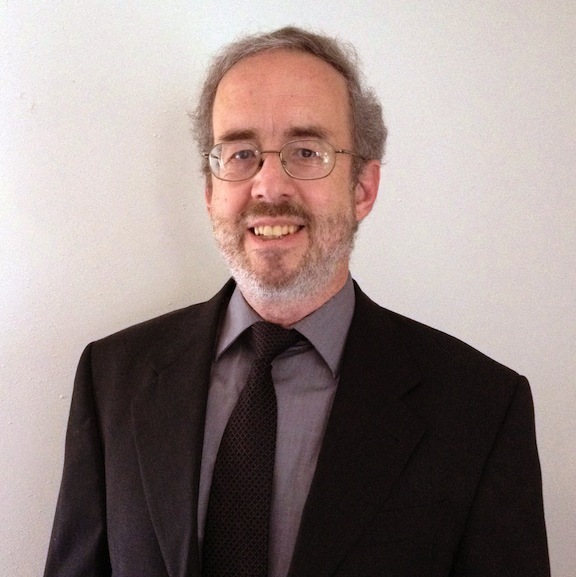 The highlight of the program will be Hutchison’s interpretation of Julius Reubke’s Sonata on the 94th Psalm, which is considered one of the pinnacles of Romantic organ composition. MSO first violinists and sisters Alice Bartsch (below top) and Eleanor Bartsch (below bottom) join Hutchison on Friday, November 8 at 7:30 p.m. in Overture Hall with the Double Concerto by J. S. Bach and Antonio Vivaldi’s Double Concerto in D Minor. Both sisters have distinguished themselves as stellar violinists and have won competitions at the University of Wisconsin-Madison School of Music. Hutchison will round out the program with works by Marcel Dupré, Herbert Howells, Josef Rheinberger and Giacomo Meyerbeer. 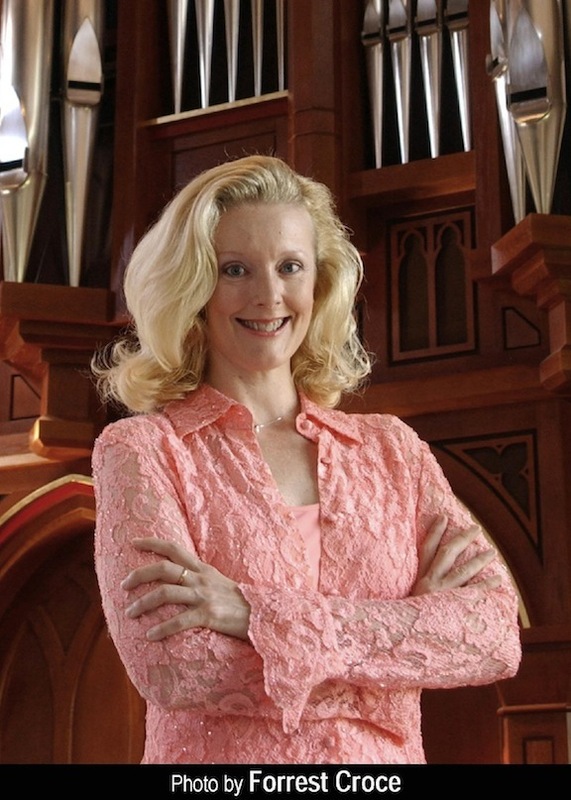 Organist Janette Fishell (below) has performed in many of the world’s great concert venues and has just completed a 21-concert cycle of the complete works of J. S. Bach, which she talks about in the YouTube video at the bottom. Her program on Friday, March 21, 2014 at 7:30 p.m. includes works by J. S. Bach, Felix Mendelssohn, Miloš Sokola, Robert Schumann, Lionel Rogg and others. 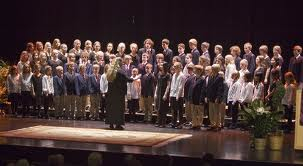 The highly popular Madison Youth Choirs (Michael Ross, Artistic Director) bring the season to a close with Hutchison on Saturday, May 10, 2014, at 7:30 p.m. in Overture Hall with a refreshing program of music for soprano, alto, tenor and bass mixed voices with treble singers. The Overture Concert Organ is owned by the MSO. It is programmed and curated by MSO Principal Organist Samuel Hutchison. In addition to the subscription season, the instrument is featured in the MSO Christmas concerts and in the April, 2014 program, as well as the Free Farmers’ Market Concert series with three summer events and Free Community Hymn Sings, which take place four times per season. The Overture Concert Organ series is made possible by major funding from Pleasant T. Rowland Foundation and the Diane Endres Ballweg Fund. Additional sponsorships come from Friends of the Overture Concert Organ and John and Christine Gauder.